1. 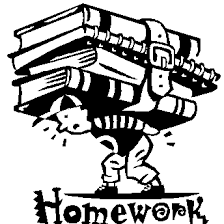 Too much homework has a negative impact on student's lives. 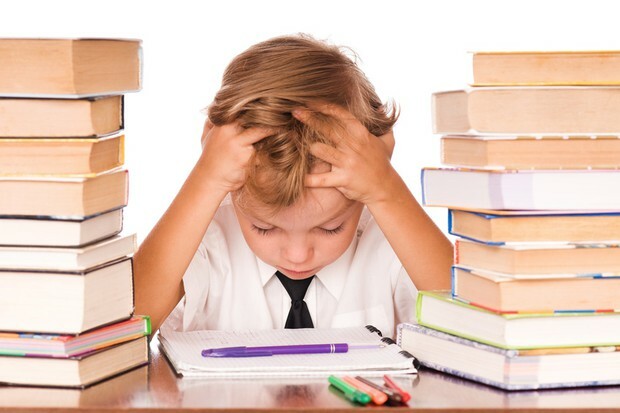 Stanford researcher Denise Pope found that students who receive too much homework report negative impacts such as high levels of stress, health problems, and a lack of balance (as in work-life or school-life balance…not unable-to-walk-in-a-straight-line balance). 2. Homework creates homework - potatoes. 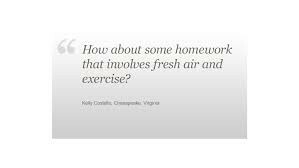 In the book The Case Against Homework, Sara Bennett and Nancy Kalish argue that one of the many problems with homework is that it exacerbates the issue of childhood obesity. 3. 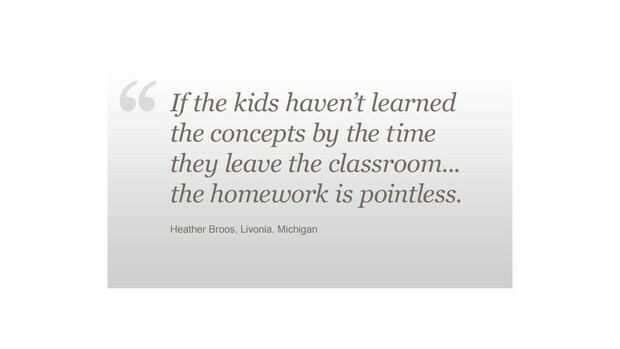 There's little to no academic benefit associated with homework. In reference to the Bennett/Kalish case, the author writes "all the credible research on homework suggests that for younger kids, homework has no connection with positive learning outcomes, and for older kids, the benefits of homework level off sharply after the first couple assignments." 4. 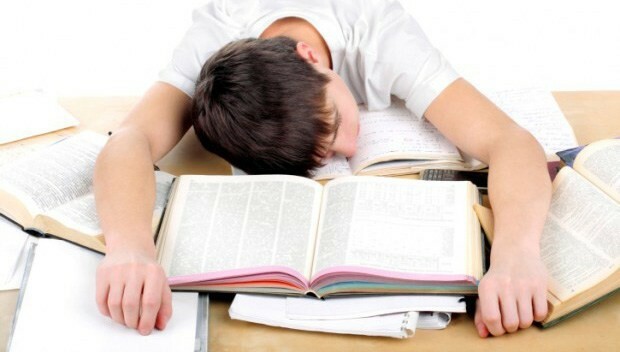 The positive effects of homework are a myth. 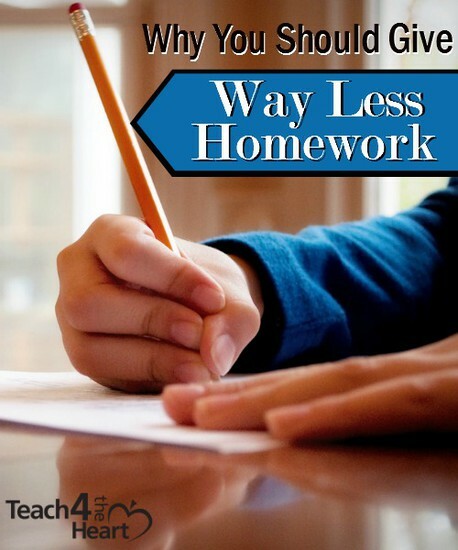 According to Alfie Not author of the book The Homework Myth, there is absolutely no evidence of any academic benefit from assigning homework in elementary or middle school. For younger students, in fact, there isn't even a correlation between whether children do homework (or how much they do) and any meaningful measure of achievement. 5. 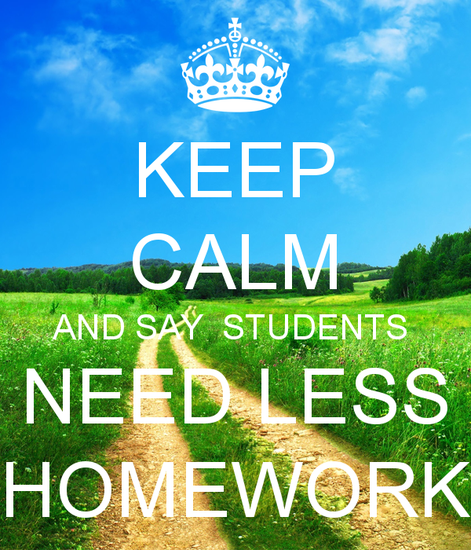 Homework may unintentionally punish economically challenged students for being poor. 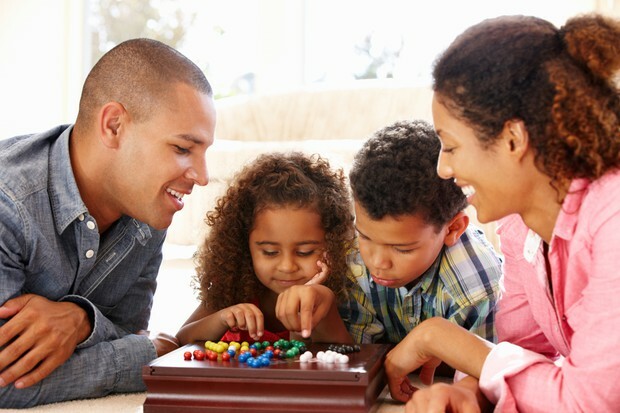 According to Etta Kralovec and John Buell, co-authors of The End of Homnework, "some students go home to well-educated parents and have easy access to computers…others have family responsibilities, parents who work at night, and no educational resources in their homes." And when that sort of thing is stacked against you, it becomes much more difficult. Let's help our students get back to spending more time with their families enjoying each other so they can come to school ready to learn!